Malawi is a small country in Africa with many remote villages, but it has a vibrant Special Olympics Program. People with intellectual disabilities (ID) in Malawi often don’t go to school and are sometimes hidden away by their families. Aaron is an example of one of these people. He was found by Special Olympics Malawi volunteers tied to a tree outside his home because of a serious lack of services and understanding of disability in his community. A year later, he has started to show marked improvement. Special Olympics Malawi has this kind of life-changing impact on people with ID in Malawi every day. Special Olympics Malawi received its first Christmas Records Grant in 2005. Since that first grant, the Program has more than doubled the number of involved family members and tripled the number of annual competitions. They have also trained 58 athletes in the Athlete Leadership Program. Special Olympics Malawi has also started an excellent Healthy Athletes Program, which provides health care and services to Special Olympics athletes. Some of these athletes have never been seen by a doctor before. Special Olympics Malawi became a Healthy Community in 2012, and in 2013 they began hosting Family Health Forums. These Forums provide family members with increased access to health and social services. With the help of traditional community leaders, Special Olympics Malawi is making great progress in providing better healthcare and opportunities for people with ID.
" Special Olympics Malawi has this kind of life-changing impact on people with ID in Malawi every day." A great supporter of Special Olympics Malawi has been former Malawi President, Her Excellency Joyce Banda. Former President Banda is committed to serving people with disabilities in Malawi. In February 2014, she co-hosted the first African Leaders Forum on Disability with Special Olympics in the capital of Malawi. The Forum brought together aid agencies, government leaders, and Special Olympics athletes to discuss disability issues. 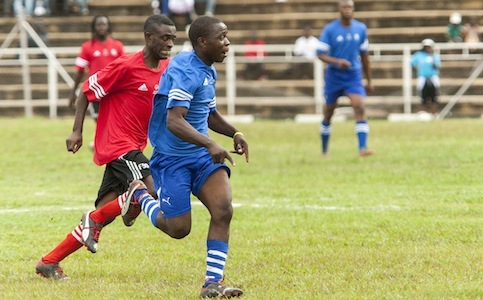 SO Malawi still receive government support through the Malawi National Council of Sport. With so much support, Special Olympics Malawi will be able to provide sports and competition opportunities to more people with intellectual disabilities. Currently the program has over 15000 athletes and host over 2000 local competitions yearly. The Christmas Records Grants will continue to support these ambitious goals.